Fans of Viking Sagas rejoice (again!) as we travel the northern seas with Svanhild, now a woman grown and a mother to a delicate boy, and her husband Solvi, outlaw, raider and rebel. We also catch up with Ragnvald, a father of four and king of his own lands as well as adviser to the future king of all Norway. 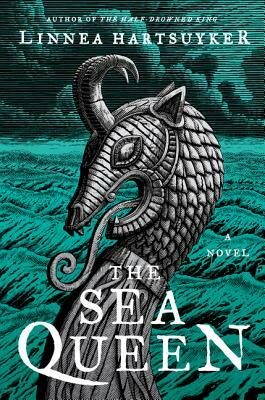 The second installment of Hartsuyker's trilogy is filled with sea and land battles, deceit, treachery and strong willed characters with every page. Hartsuyker fills this gripping story with real geography, detailed mechanics of sailing a dragon ship and characters straight from the pages of myth and history. Though fiction, many of the characters and events are pulled straight from the 9th century viking sagas, decoding legend from truth.